She’s more obscure than Jane, less familiar than Joanna. But this feminine form of John could fit right in with stylish names for girls in 2014. 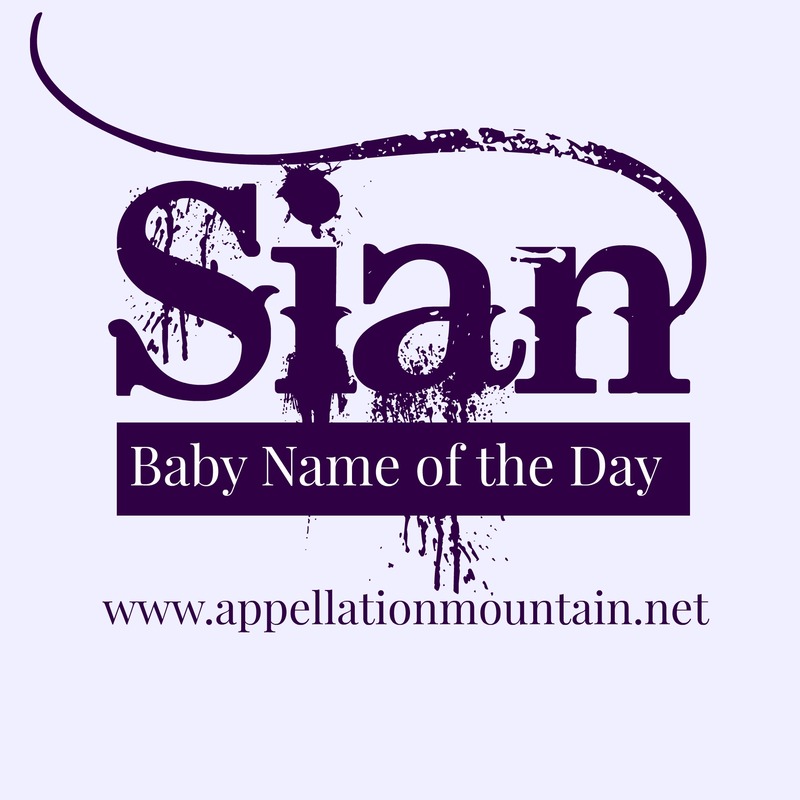 Thanks to Sian for suggesting her own name as our Baby Name of the Day. Sian is the Welsh answer to Jeanne and Joan and Jane, too – a feminine form of the enduring John. Strictly speaking, it is written with a diacritical mark: Sîan. I’ve often heard Sian pronounced just like Sean or Shawn, sort of like a feminine form altered only by spelling, akin to Frances–Francis. But that’s not quite correct. Instead, Sian sounds more like the first syllable of Shannon or maybe rhymes with Don rather than Dawn. But I’m guessing there’s quite a bit of variation in how real life Sians use their names, especially outside of the UK, and vowels are notoriously tricky things. Ask any Andrea. 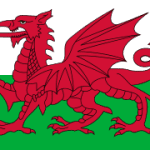 I’ve found a handful of references that connect Sian to Welsh myth and legend – but I can’t pin her down. Could it be that she’s confused with a figure from Marion Zimmer Bradley’s wildly popular series of books set in Avalon? Probably not – the character is a minor one, and appears in a much later installment in the popular anthology, so that seems unlikely. Instead Sian first started to catch on in the US – though in a small way – in the early 1960s. That might have something to do with Welsh actress Sian Phillips. She’s a big deal in her own right – the Welsh BAFTAs present an annual award named in her honor, and she’s played many a memorable role, from Livia in I Claudius to Miss Havisham in Great Expectations. But Phillips also made headlines in the US because she married Peter O’Toole in 1959. O’Toole starred as Lawrence of Arabia in 1962 – a major box office hit, and a career-making role for which he was nominated for the Academy Award for Best Actor. 1962 was also the first year Sian was given to five girls in the US. Our affection for slim, trim names for girls. An interest in heritage choices, like Rhys, prompting parents of Welsh descent to look for promising imports. The popularity of Sean, an Irish choice charting in the Top 100 from the 1960s through 2009, and the resulting interest in spin-off names, like Shawna and Shaun. Sian Reeves, known for roles on BBC television series, including Emmerdale. Characters on BBC productions, like Waterloo Road and Coronation Street. Musician Dave Evans – better known as U2’s The Edge – has a son called Levi, and daughters Hollie, Arran, Blue Angel, and Sian. Evans’ parents are Welsh, so perhaps it was a heritage choice – though Sian Evans arrived in the 1990s, just as the name was reaching its peak popularity in the UK. All together, Sian feels like an import – a little bit aristocratic, a little bit creative. If you’re after a Welsh heritage choice that is distinctively different without being too difficult to wear, Sian is one to consider. 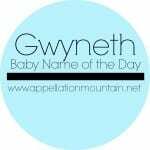 I have only heard this name once, but she pronounced it Sy-anne, which I thought was pretty. The German on forvo pronounces it See-un and the Irish man says She-in. Thinking about it, I have know three Sians and one Siani (though she re-spelt it Sharni). They all pronounced it SHARN. I also know a man named Sion (SHORN) which the masculine equivalent (and one of the many many Welsh versions of John. 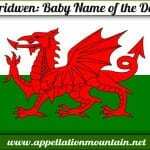 I rather see it as a modern classic in Welsh names, much like Samantha. I find the ‘a’ in Welsh names is quite challenging for certain non-British accents. 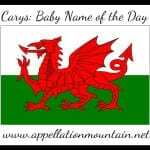 Trying to explain that Carys rhymes with Paris or Harris (which I used to do in my youth) doesn’t work when we Brits pronounced them all with a short clipped ‘a’, and some American accents use a longer, almost ‘air’ sound. You’re right, Anna – except if you listen to those three on Forvo again, the middle one sounds exactly like Sean to me. And we pronounce the ‘r’ in barn, like car + n – and that changes the ‘a’ sound from an ‘ah’ to something a little different. If that’s you pronounce “barn”, then you’d still say Sian to rhyme with it, because that’s your accent. I think you’re overthinking it – the American lady on forvo is pronouncing it exactly like everyone else, but with an American accent, just like I’d say it with an Australian accent. But we’re all saying SHARN. Every Sian I’ve ever met (in Australia) pronounced her name SHAHN, to rhyme with barn. According to forvo, that’s how Welsh speakers say it too, and Americans.